BELIZE CITY, Mon. 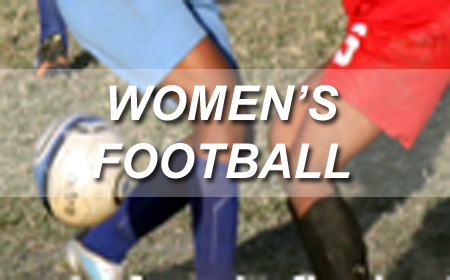 May 8, 2017–Two back matches were played over the weekend to close off the regular season for the National Women Amateur League 2017 football tournament. (One other back match, Sagitun Strikers vs Toledo Strikers, will not be played, as it has no bearing on the standings going into the playoffs.) 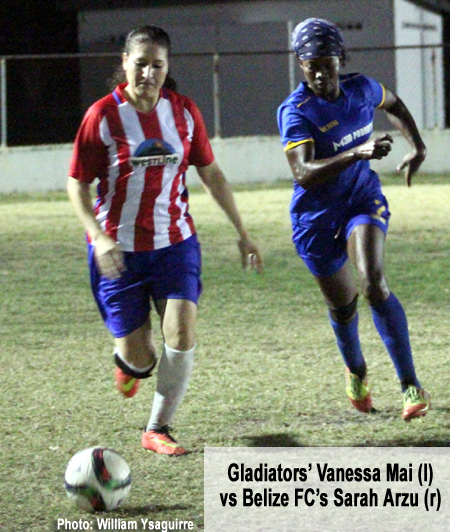 On Saturday, May 6, at the Carolina Field in Corozal, visiting Belize City FC crushed Calcutta Strikers, 9-0, with goals from Shanell Gentle (4’ & 80’), Jinnelle Pott (9’, 27’ & 58’), Aracelli Lambey (14’), Cynthia Salazar (25’) and Kursha Pollard (45’ & 83’). And on Sunday, May 7, at the M.A. Stadium in Independence, it was Belmopan visitors Jewel Fury FC with the 3-0 victory over home squad Sagitun Strikers, courtesy of goals by Jayda Brown (34’) and Gisel Baeza (46’ & 54’). In regular season, Belmopan’s Jewel Fury FC was undefeated in the South; while in North, Belize City FC and Gladiators of Orange Walk gave each other their only loss. Below are the final group standings.